Disney World is my family's favorite vacation destination. My Uncle refers to it as our home away from home. As a kid we'd all pile in his van, drive for what seemed like forever, and wake up in the most magical place on Earth. 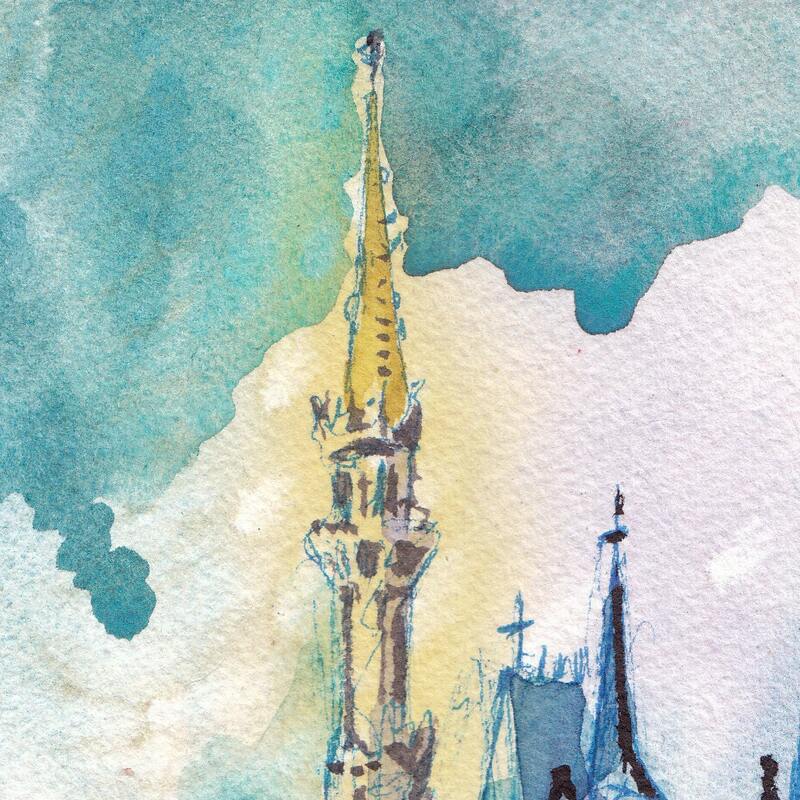 Cinderella's castle is an icon that brings fond memories to my family and many others. 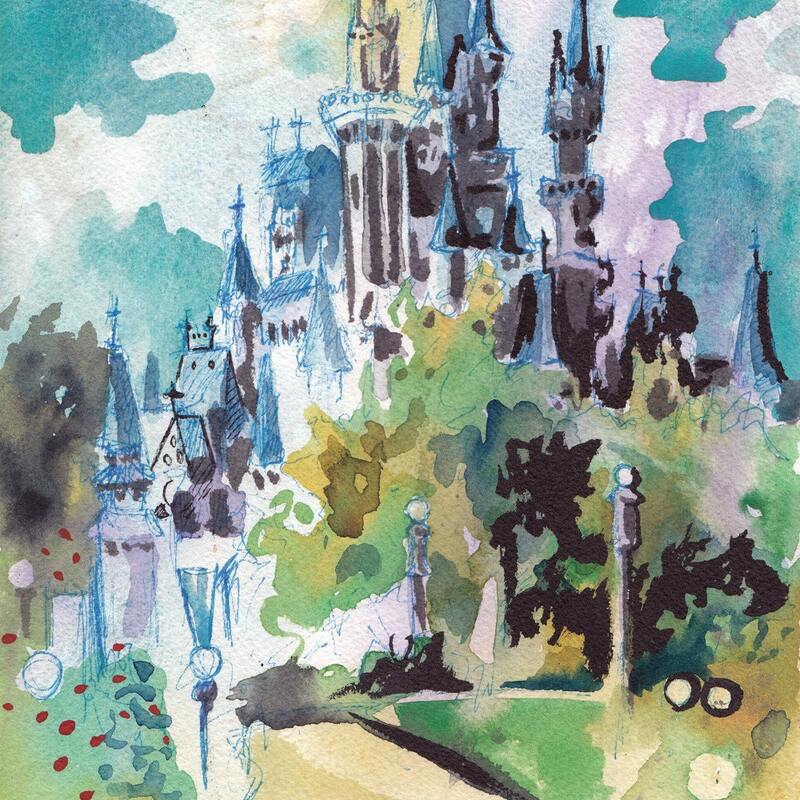 This is a print of one of my original water color and ink paintings, "Cinderella's Castle." 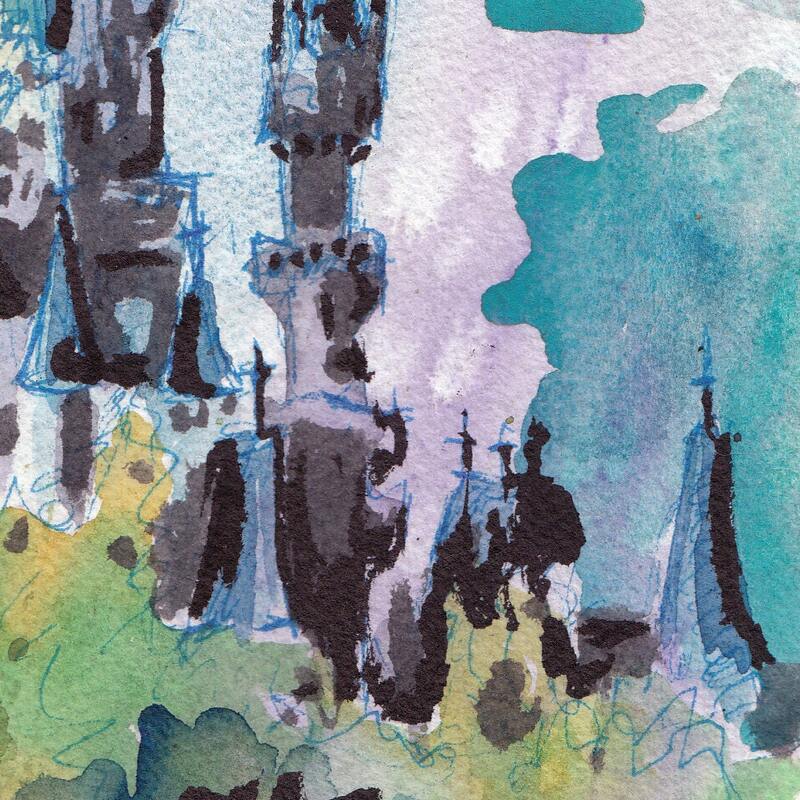 This signed print measures 5" x 7" (12.7cm x 17.8cm). The print is high quality; very true to the original's coloring. 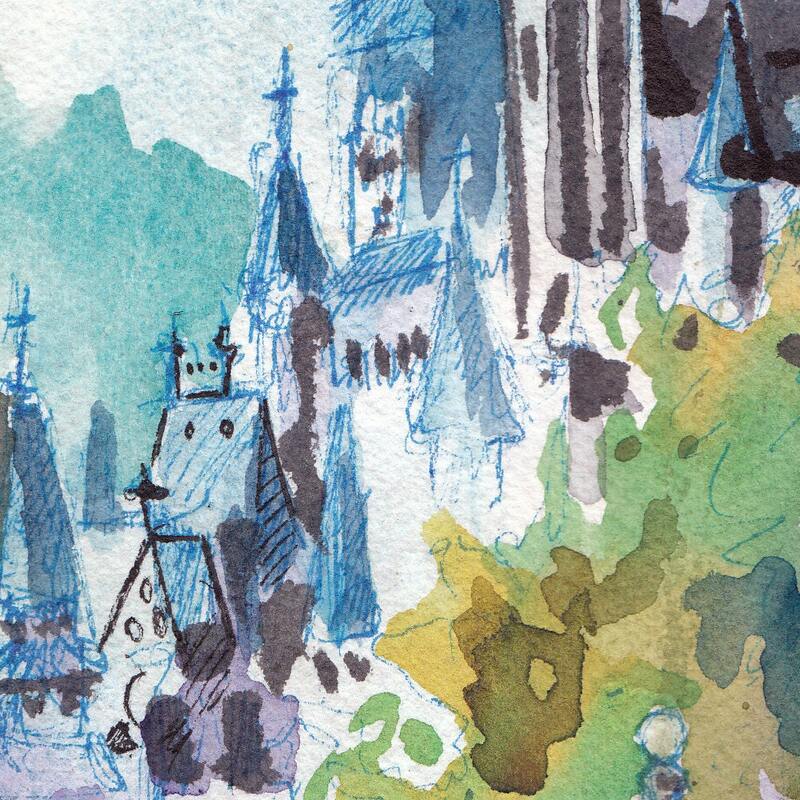 It is printed with archival inks on acid free paper. 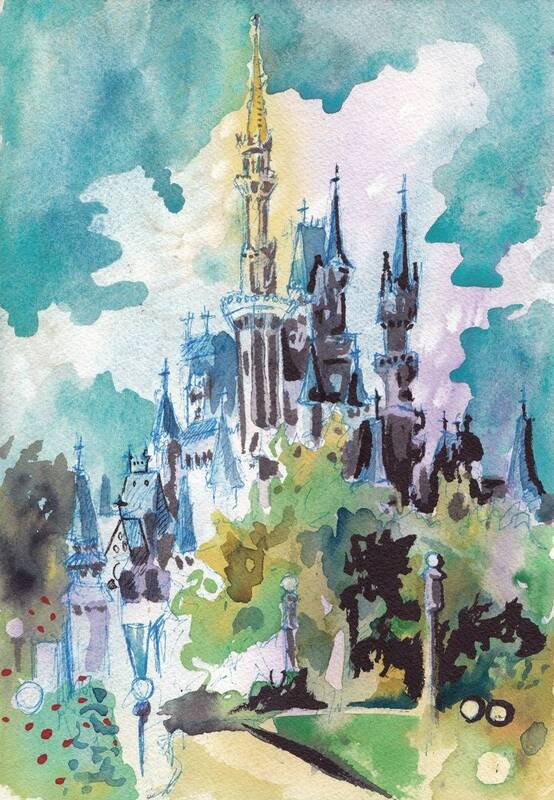 I love the print of the Disney castle! As soon as it arrived in the mail I went out and got a frame. I can't wait to hang it up and show it off! Very talented artist. Adorable! Exactly as pictured. Arrived safe & sound. Now hanging in the hallway.